Ms. Fortson has practiced law for over 20 years in the United States and Europe, as a transactional attorney, litigator and nonprofit general counsel. After working at one of Europe’s largest law firms, now Freshfields Bruckhaus Deringer, Ms. Fortson returned to New York to join Sidley Austin LLP (formerly Brown & Wood LLP), where she was a commercial litigator. In the early years of her legal career, Ms. Fortson fed her passion for charitable work by providing pro bono legal services and mentoring indigent persons recovering from chemical dependency. Determined to make her passion a full-time occupation, she left the big firm environment in 2001 and joined Catholic Charities in New York, where she focused on asylum and refugee law. 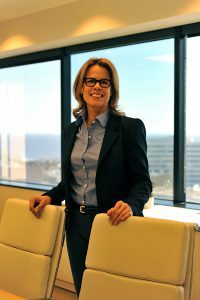 After relocating to California in 2005, she joined International Medical Corps, an international humanitarian aid organization, where she established and grew its legal department and served as general counsel for many years. Recognizing the substantial need of nonprofits for competent and specialized legal services, Ms. Fortson followed her lifelong desire and opened her own law practice in 2016. 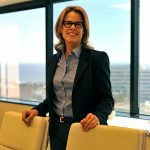 Intimately familiar with the operational needs of both large and small nonprofit organizations, she is committed to providing the highest-quality legal counsel with a clear focus on practical solutions. University of Colorado, Boulder, B.S.